Have a wonderful time with our delicious dishes and exceptional services in a soothing atmosphere. 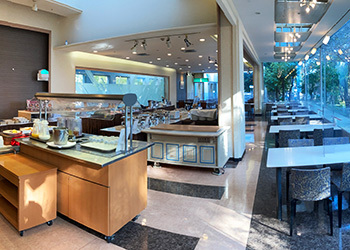 We serve you chef's original dises with buffet style. Have a great time with your famiy and friends. ＊Reservation with more than 40 people is welcomed on closed day. 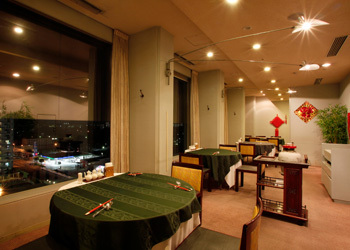 Indulge varieties of abundant Chinese dishes from Szechuan cuisine to chef's original. Private dining rooms from 4 people are available. Whiskey, wine, beer, cocktail and world varieties of alcoholic beverages are available. 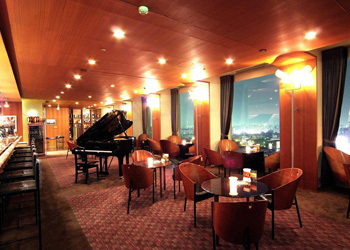 Bar lounge on the top of the floor with beautiful night view. The Business Hours will be changed from December 1st, 2018. Only available with a reservation 2days before you come. ＊Kindly reserve the restaurant to avoid crowded day or time. ＊Please be noted in case the parking is occupied.